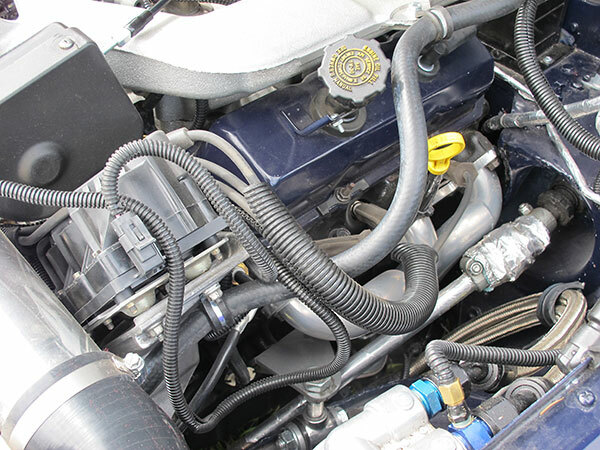 Engine: rebuilt 1993-95 Chevrolet Camaro L32 3.4L V6. 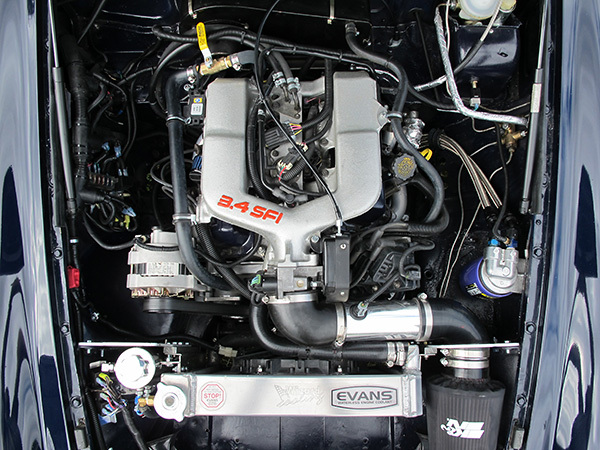 Stock sequential electronic fuel injection. Stock wasted spark electronic ignition. Stock General Motors computer. 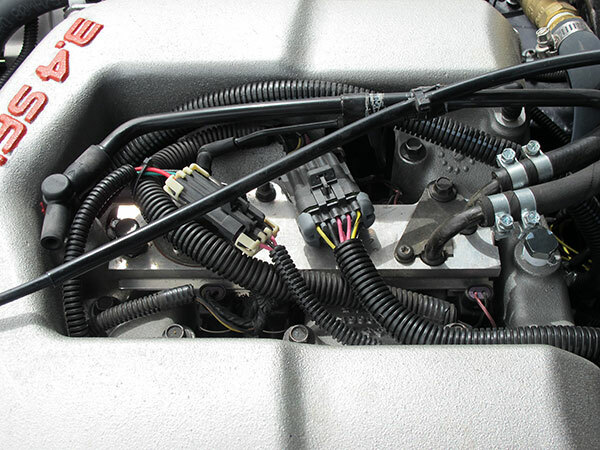 AC Delco Premium Silicone 7mm spark plug wires. 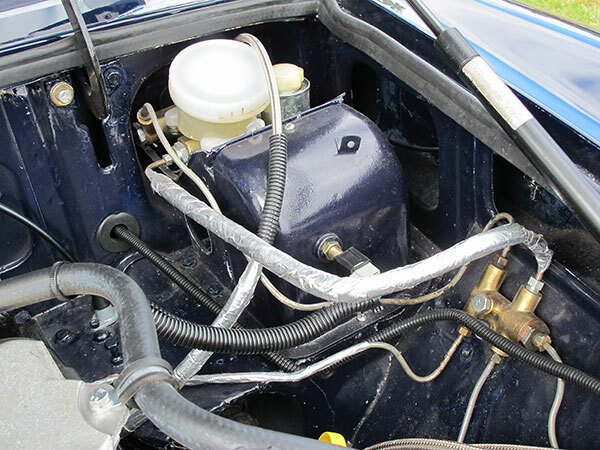 Custom Rod Works aluminum fuel tank, with built in Walbro high pressure fuel pump. Classic Conversions Engineering motor mounts. Royal Purple "Extended Life" oil filter (part# 30-8A). 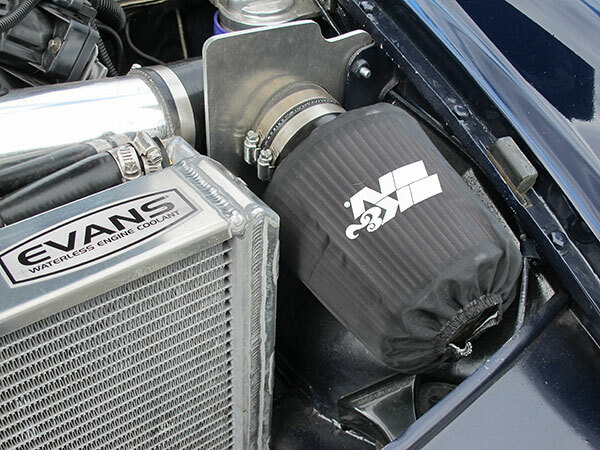 K&N air filter. 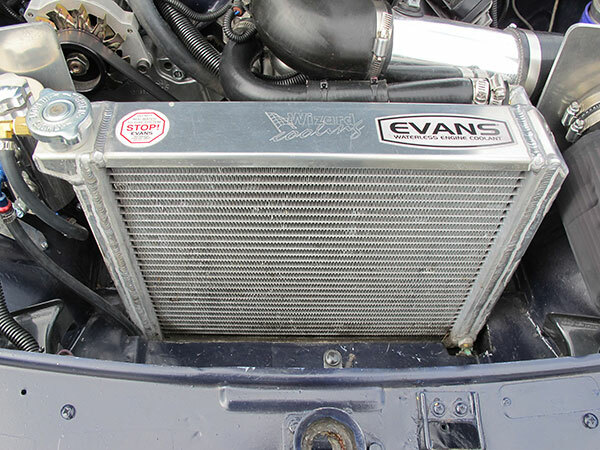 Cooling: Wizard custom aluminum radiator. Spal 1390cfm electric fan (type VA03-AP70/LL-37S). 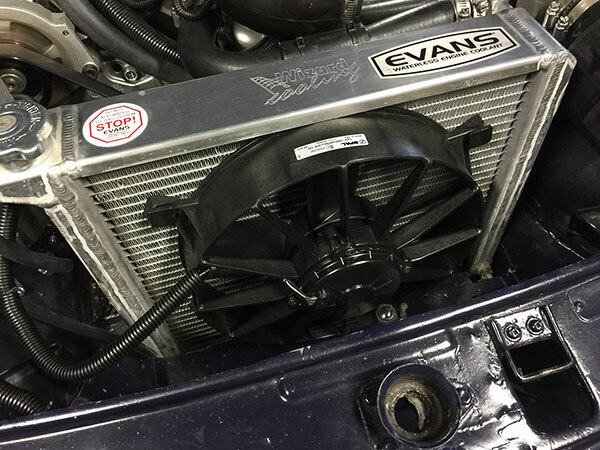 Evan's waterless engine coolant. 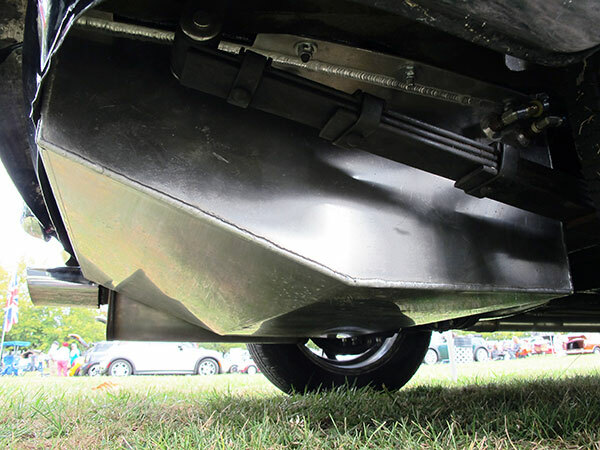 Exhaust: Classic Conversions Engineering headers. Custom 2-into-1 system. 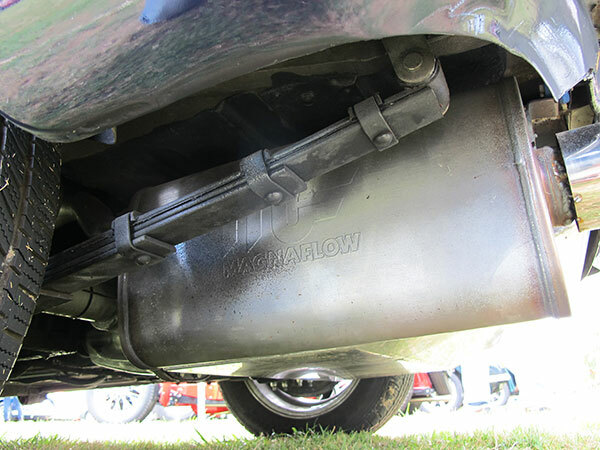 Magnaflow muffler. 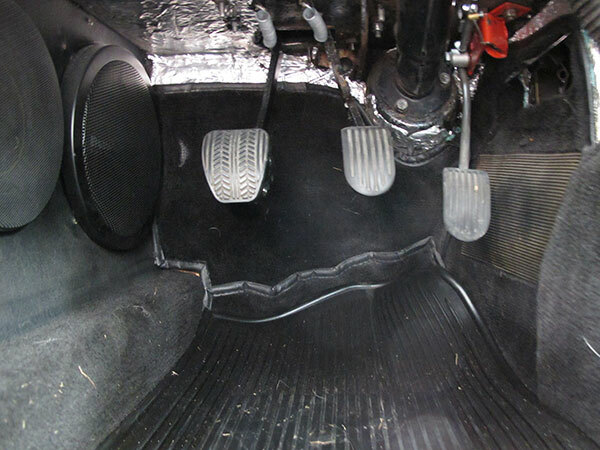 Transmission: Borg-Warner T5 manual transmission, V6 version, reconditioned. Rear End: MGC 3.07:1 ring and pinion. 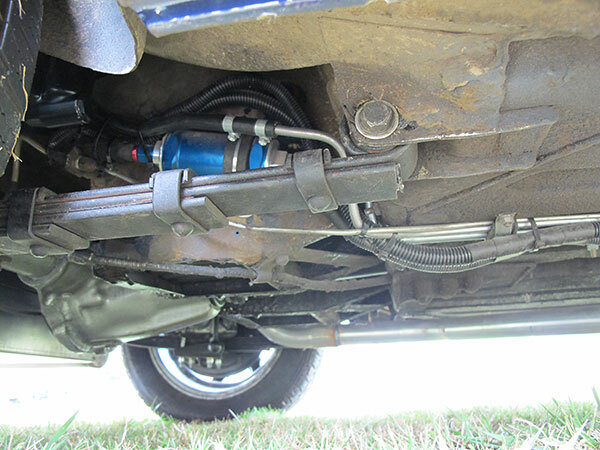 Front Suspension: standard geometry. World Wide Auto Parts rebuilt/uprated Armstrong shocks. 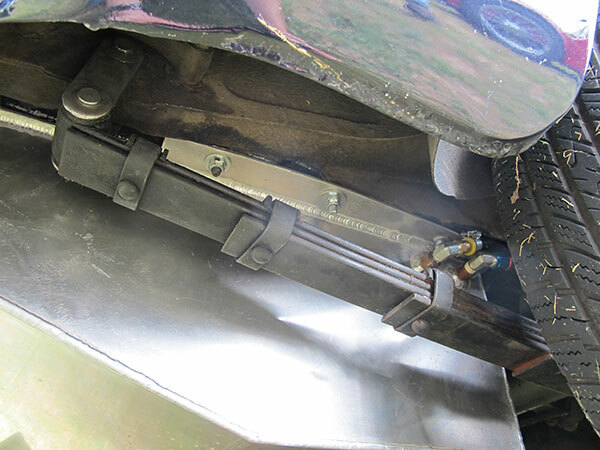 Rear Suspension: standard new leaf springs. World Wide Auto Parts rebuilt/uprated Armstrong shocks. Brakes: (master) new, standard MGB master cylinder. 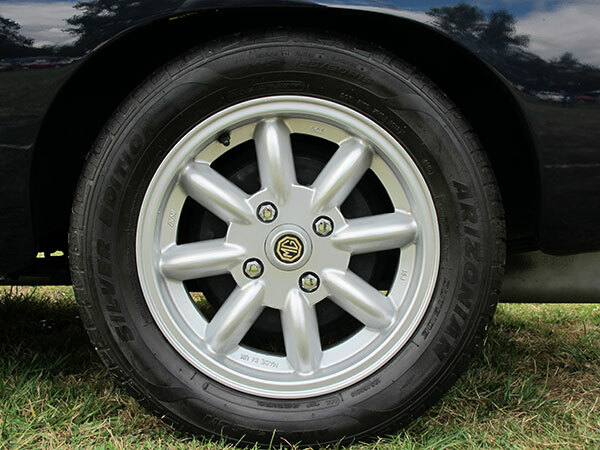 Wheels/Tires: Minator (KN Wheels Ltd.) eight spoke aluminum wheels, size 15x5.5J. General Altimax 185/60R15 tires. 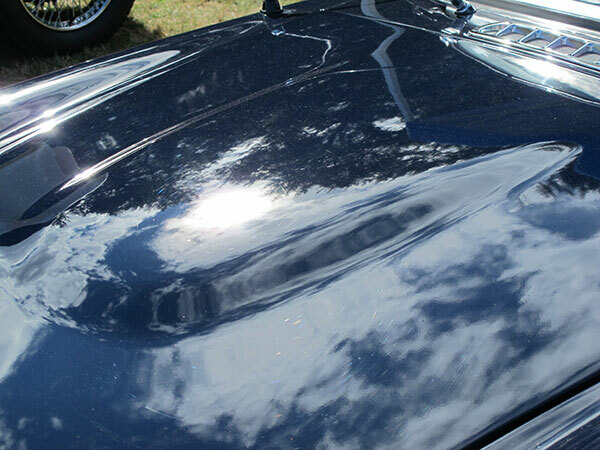 Body: Preform Resources MG RV8-style fiberglass bonnet. 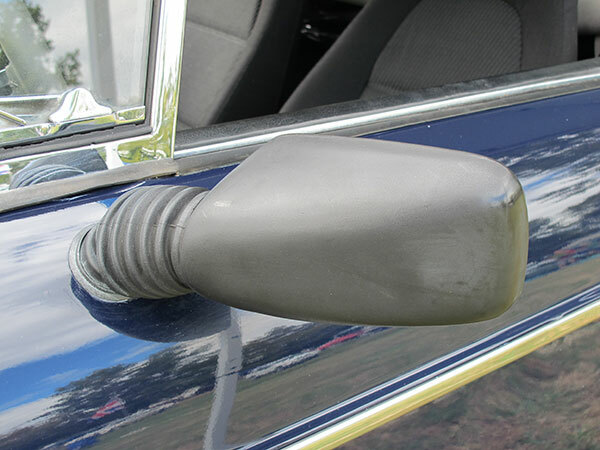 MG RV8 "centre high mount stop lamp" (CHMSL). 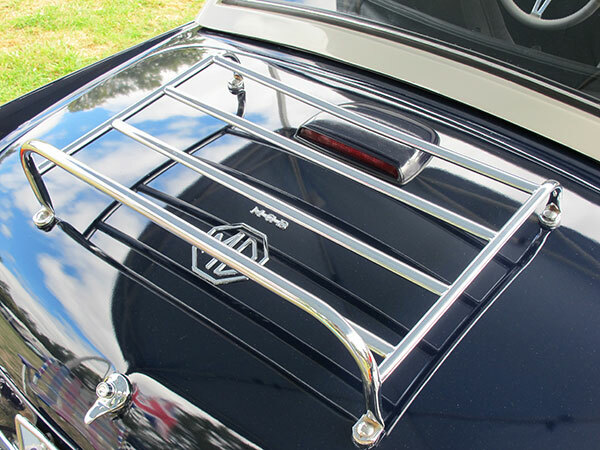 Luggage rack. Factory hardtop. 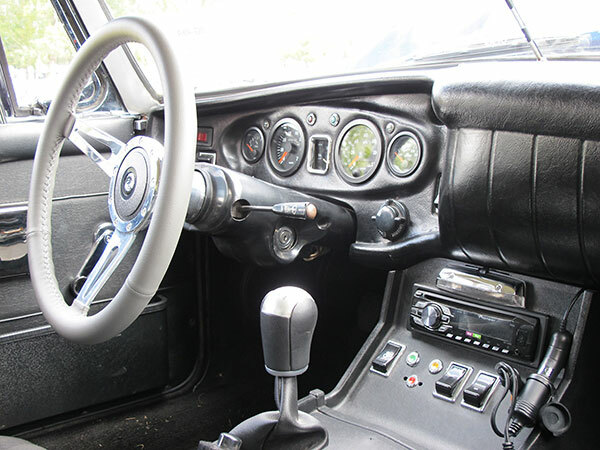 Interior: completely refurbished from bare metal, POR15 paint. Sound & heat insulation and new carpets. 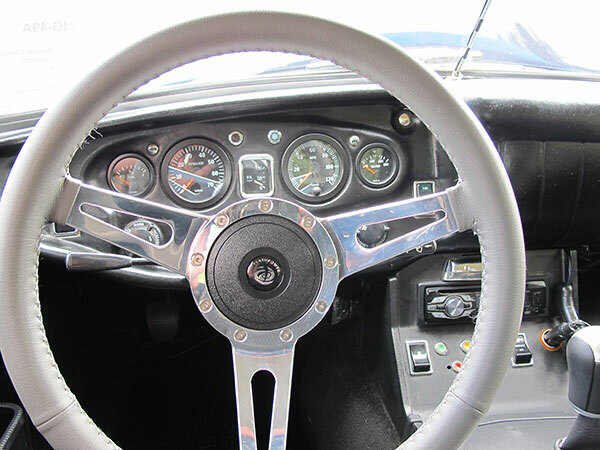 Flashpower "Classic full leather" steering wheel. 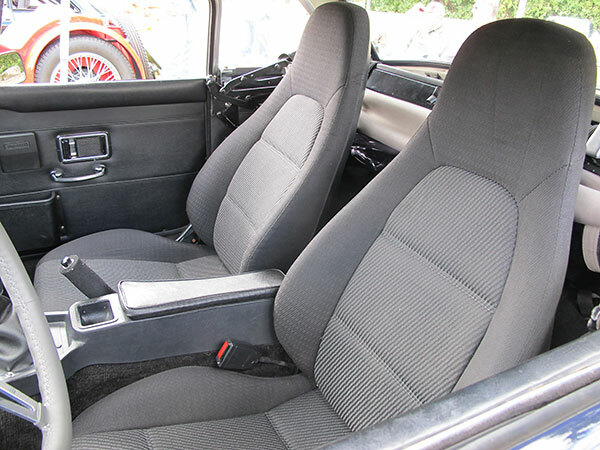 Mazda Miata seats. Pioneer AM/FM/CD/MP3 stereo radio. 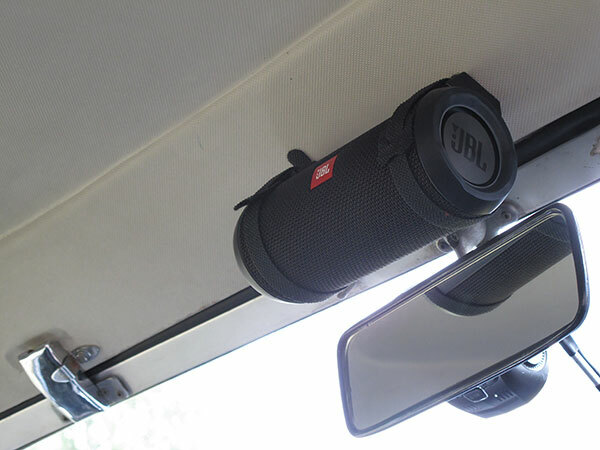 JBL Flip 3 Splashproof Bluetooth Speaker 3-point inertia seat belts. 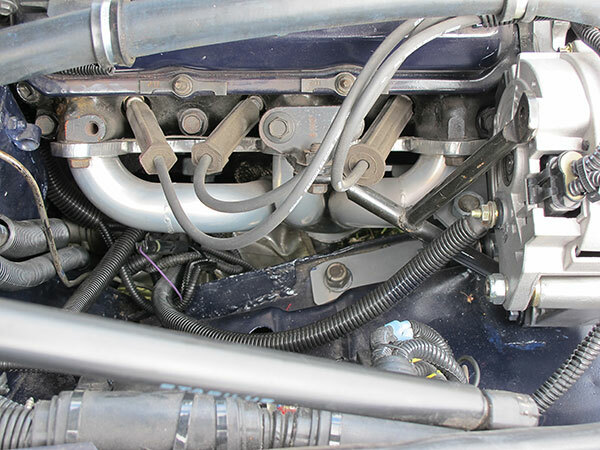 Instruments: VDO gauges (left to right) fuel level (E to F), tachometer (0-7000rpm), GPS speedometer (0-120mph), coolant temperature (100-250F). Smith oil pressure (0-100psi). Electrical: completely rewired. All circuits LED fused. Relays on major systems. 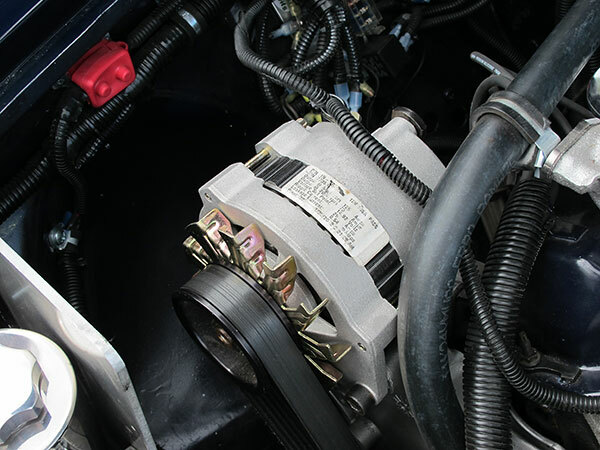 Delco 125A alternator. 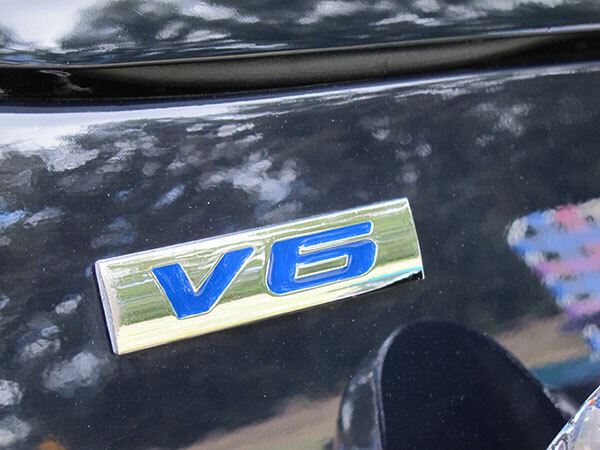 Performance: approximately 160hp at 4800rpm and 200 ft/lbs at 3600rpm. 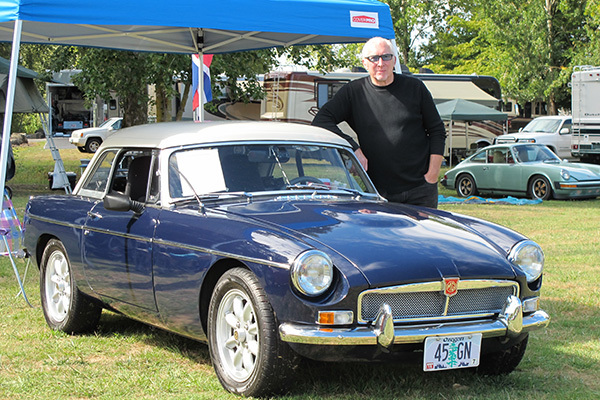 Note: this MGB was fitted with a Ford V6 by a previous owner. 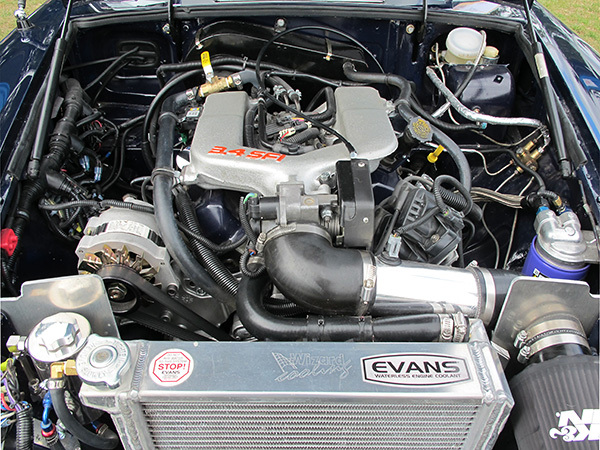 Rebuilt 1993-95 Camaro 3.4 SFI V6. Standard Motor Products aftermarket brake light switch. 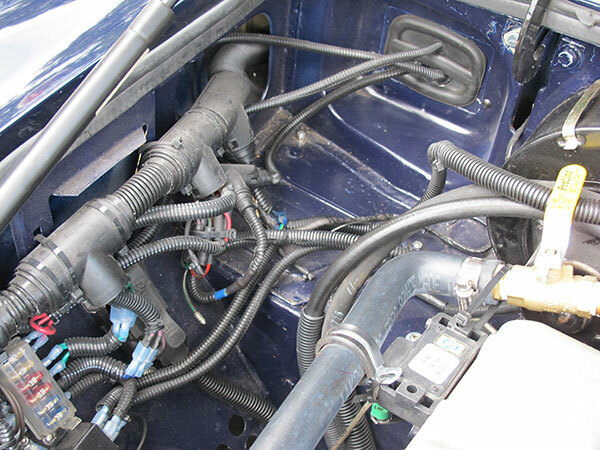 Wiring for stock sequential electronic fuel injection. 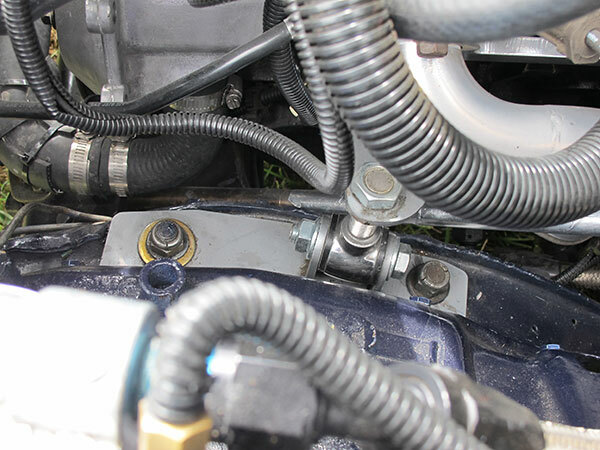 Stock wasted spark electronic ignition. 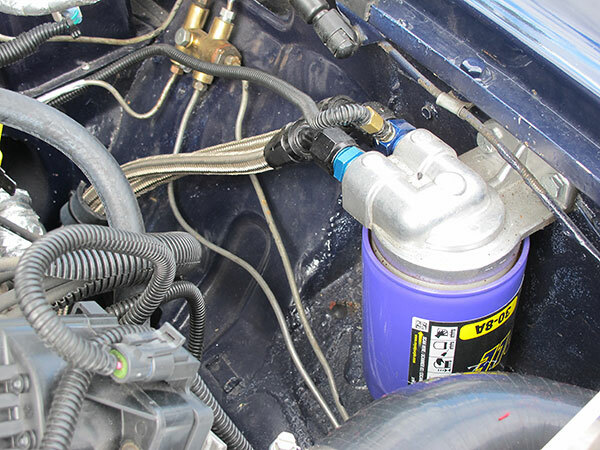 Royal Purple "Extended Life" oil filter (part# 30-8A). 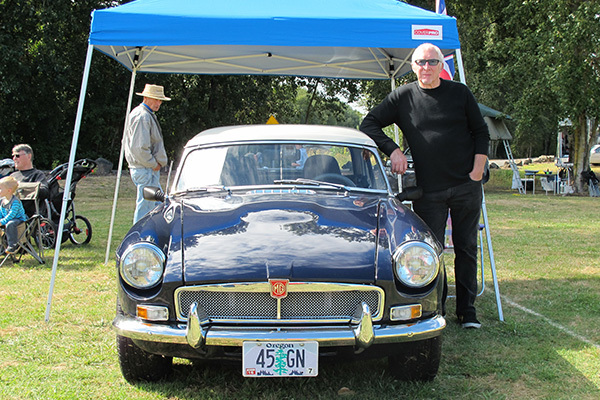 presented at Portland Oregon's 2016 All British Field Meet. New: Spal 1390cfm electric fan (type VA03-AP70/LL-37S), pushing. 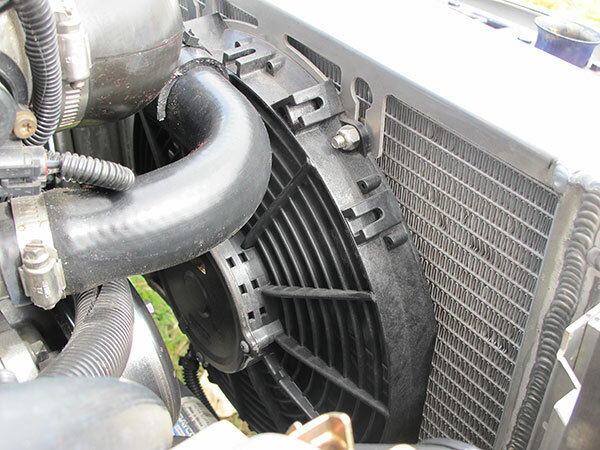 This fan was installed after the All British Field Meet. Relays control lights, horn, fuel pump, heater fan, etc. 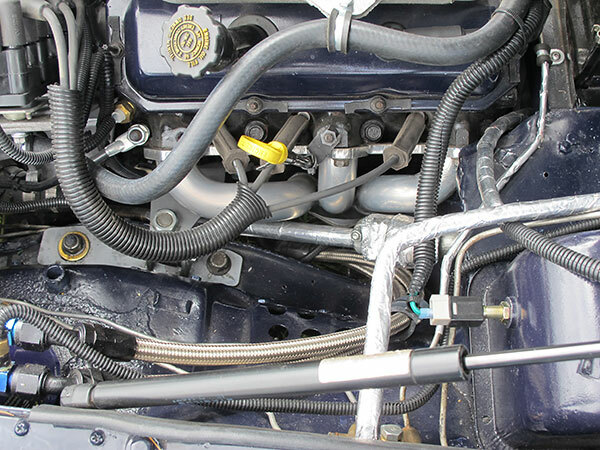 Top left: manifold air pressure (MAP) sender. AC Delco Premium Silicone 7mm spark plug wires. Upgraded fuse block and relays. 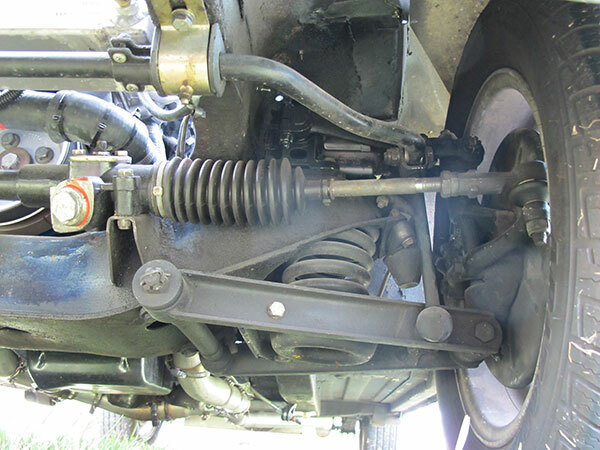 Stock MGB front suspension, with World Wide Auto Parts rebuilt Armstrong shock absorbers. 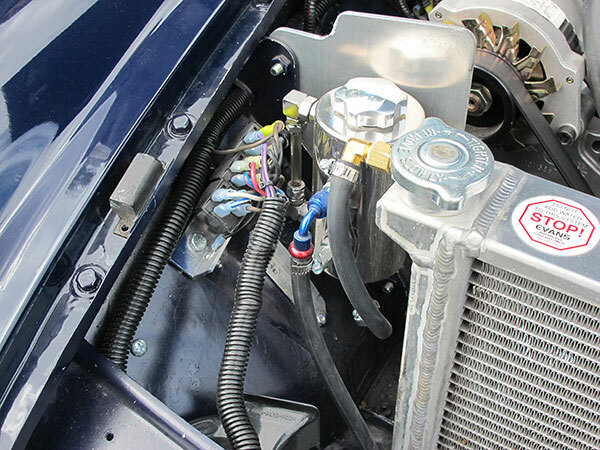 ...with built in Walbro high pressure fuel pump. 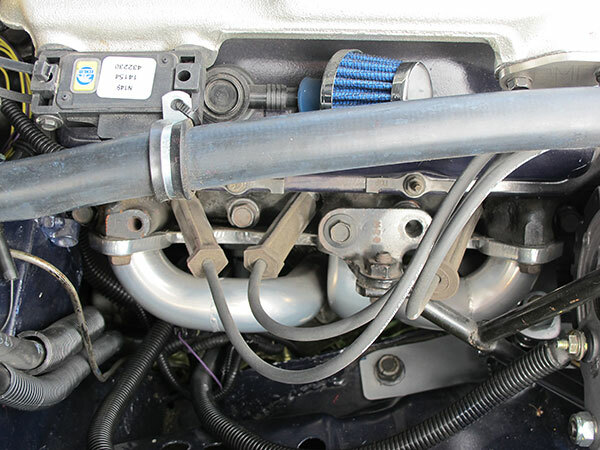 and coolant temperature (100-250F) gauges. Smith oil pressure (0-100psi). 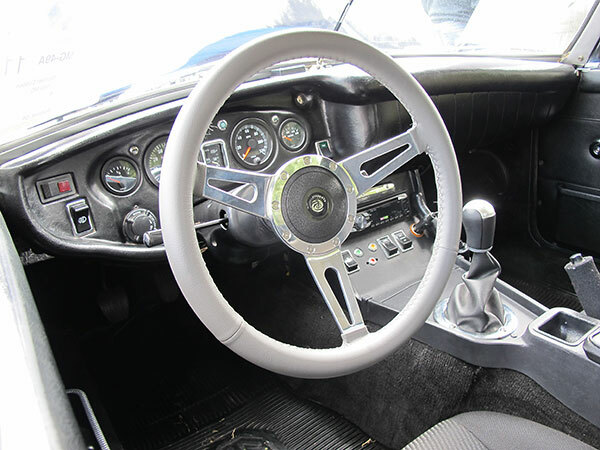 Flashpower "Classic full leather" steering wheel. JBL Flip 3 Splashproof Bluetooth Speaker. Stereo speakers mounted in the pedal boxes. 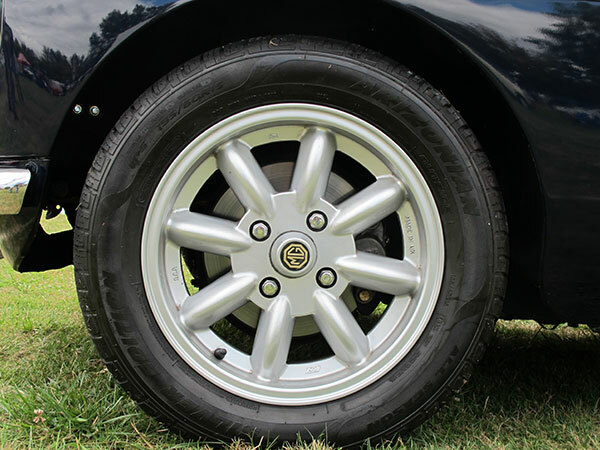 Michael selected this custom color, similiar to but not the same as MG's "black tulip". 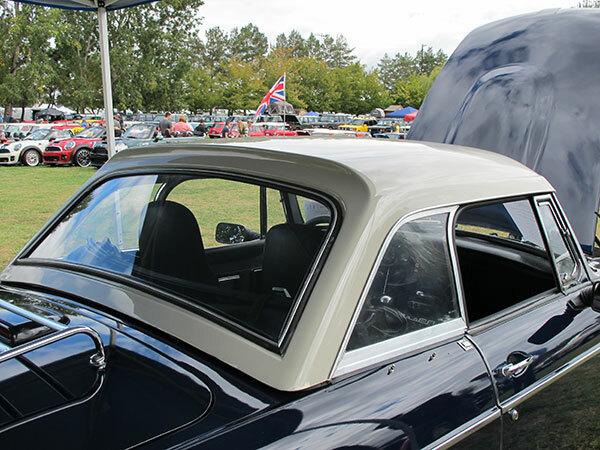 Preform Resources MG RV8-style fiberglass bonnet. 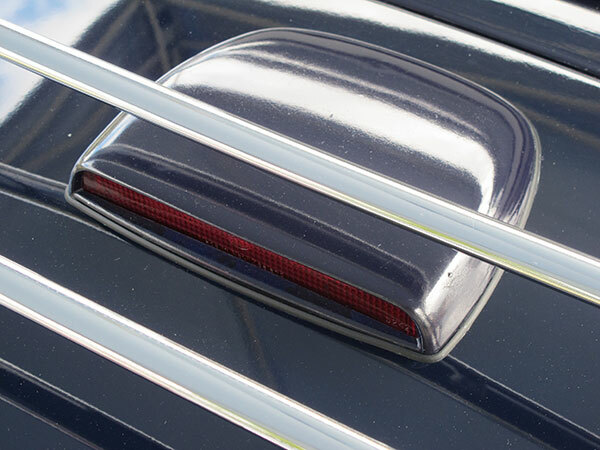 MG RV8-style "centre high mount stop lamp" (CHMSL) by Hella of Australia. Minator (KN Wheels Ltd.) eight spoke aluminum wheels, size 15x5.5J.